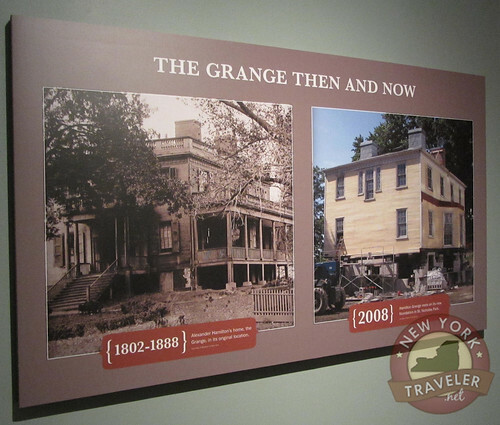 In my previous post about Hamilton’s Grange, I described the turbulent history of the house and its two relocations. 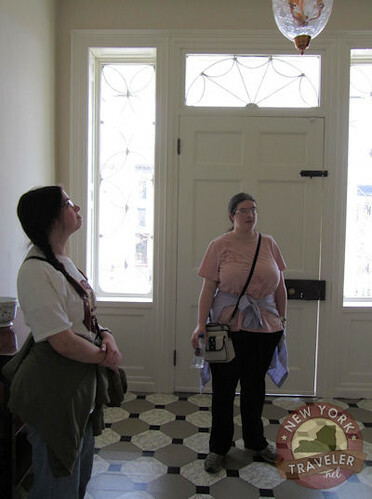 This post is about our wonderful visit through the house. We’ve been wanting to see Hamilton’s home for many, many years so this visit was our dream come true. You enter the door from the right side of the building (into what was formerly the basement). Admission is free and there is a small gift shop near the counter. This floor is comprised of one small display area and a media room with chairs and a large television. 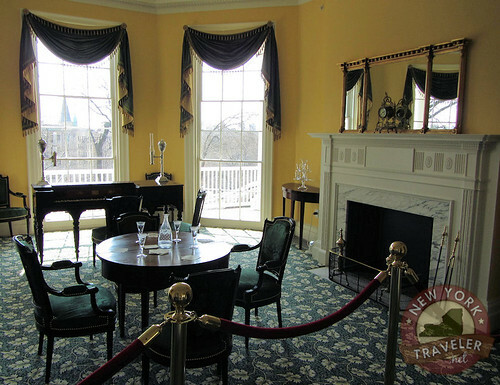 The display areas are all plaques detailing highlights of Hamilton’s life and The Grange. ile we were here, two groups of school kids were also taking a tour. 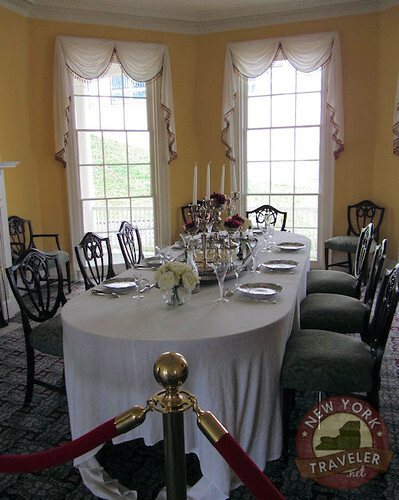 Hamilton’s house is very small (HOW he and Eliza ever squeezed eight kids and their adopted orphans in here is quite the mystery) but very elegant. When you go up the stairs, you enter the original entry hall to the house. The floors are rather moderne, painted canvas tiles in a cosmopolitan style. 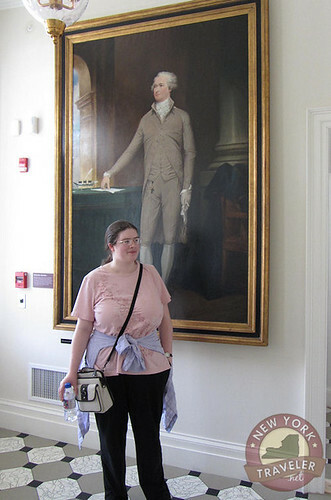 A large painting of a young Hamilton looms over the hall (Hamilton did not display a portrait of himself, however). 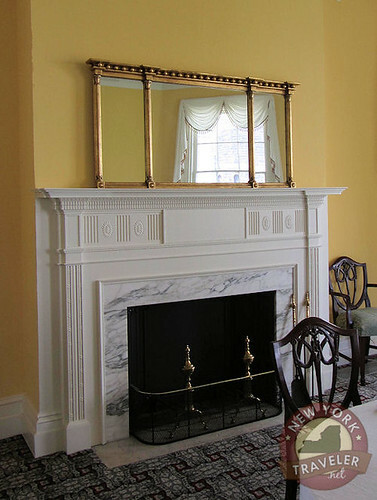 Two formal rooms flank the hall: the parlor and the dining room. Both are magnificent with enormous windows and cheery colors. Very few of Hamilton’s belongings are here. Many of his articles were given to family members after his and Eliza’s deaths. 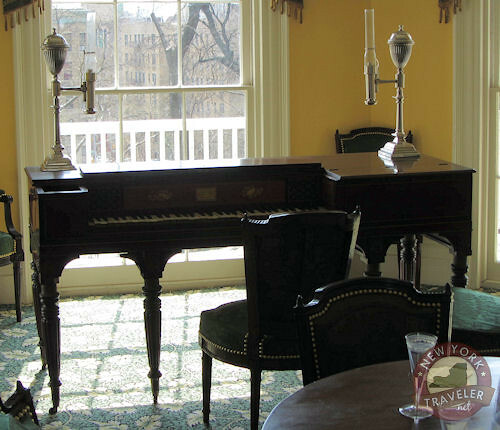 This pianoforte, however, was Hamilton’s. 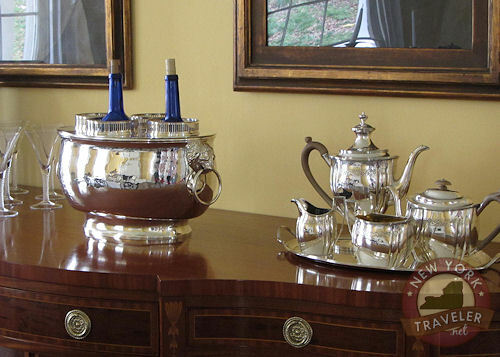 The museum had a reproduction of the lovely silver wine cooler that George Washington gave to Hamilton in 1797. The original belongs to a private collector. I found it sad that so few of Hamilton’s personal mementos are here. 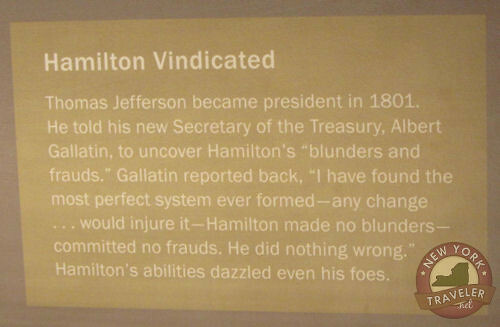 They all seen to be scattered and haphazard, which is indicative of the honor due Hamilton as a brilliant and sacrificing founding father. Hamilton saw clients in this house (he practiced law after the Revolution, or, as he called it, “the art of fleecing my neighbors.”). 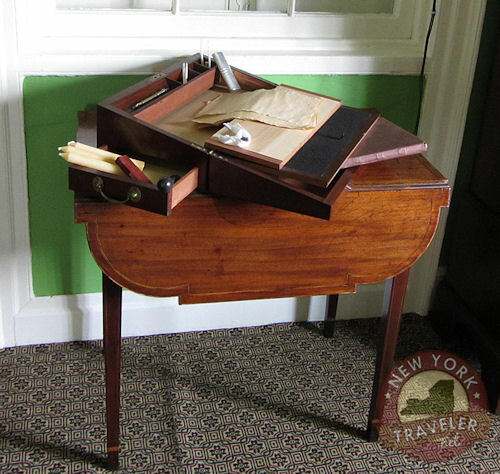 He had a small study off the formal rooms. 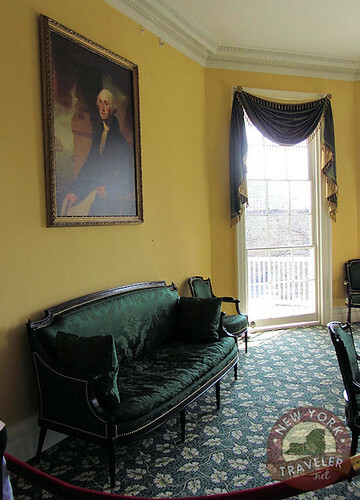 The vibrant green color is the same color Hamilton chose for this room. It’s quite a sensory experience! 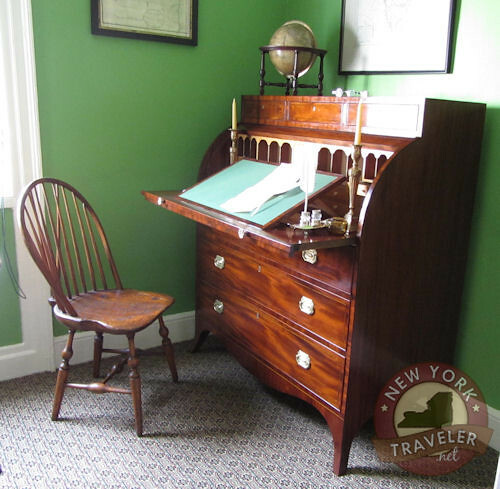 The color is reminiscent of his early years in the West Indies and must have been a very cheerful room during gloomy, cold New York days. We stayed and chatted for quite some time with Mr. Strain who was delightfully knowledgeable of Hamilton’s life. He even knew of Hercules Mulligan, one of our favorite characters from the Revolutionary days! Mr. Strain showed us a video of how the Park Service moved The Grange from its old location on Convent Avenue to here. The house was elevated 30 feet in the air and rolled down 141st Street! The video and learning about the move was perhaps my favorite part of the visit. Thus ended our visit. It was so short and brilliant, much like Hamilton’s life. 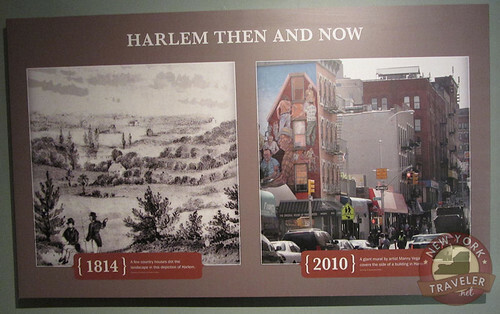 I hope the museum continues to grow and is able to acquire more of Hamilton’s possessions. Admission is free and the paths outside the house are very pleasant. I am the marketing director for John G. Waite Associates, Architects, the firm responsible for the relocation and comprehensive restoration of The Grange. I came upon your blog and wanted to stop by and let you know how happy we are that you enjoyed the tour. Liam Strain is a wonderful guide and is very knowledgeable about the project. We would be glad to provide you with any additional information should you desire it.